Hi! My name is Luke Rosa and I want to thank you for visiting Students of History! I created this site to make it easier to share some of the Government resources I’ve had success with in the classroom. I started out teaching at a high school in Tampa, Florida and was literally handed a couple textbooks and wished good luck. I struggled. I realized that my students weren’t responding to the “traditional” teaching methods I experienced in high school. So, I tried new things. I experimented with lessons that were more interactive. I listened to my students and created resources that I knew would excite their interests. 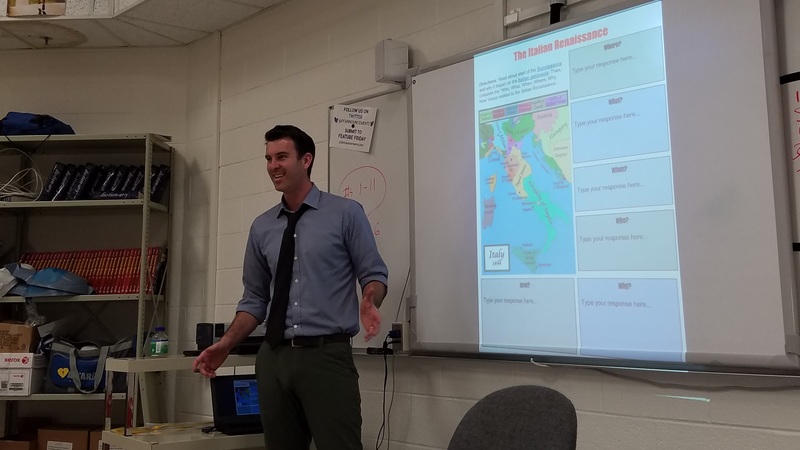 About 15 years later, I created Students of History to share my World History, US History, and Civics resources with teachers around the world. All have been used successfully in diverse classrooms and are student-centered, engaging and thorough. I look forward to connecting with and helping to make your history classroom the best it can be! When you join Students of History, you can be confident in knowing that a portion of your subscription goes directly back to schools or other great charities that are helping others. If you have any questions about how we support these organizations or how you can get involved please let us know! Don't hesitate to reach out either through email or any of the Students of History social media accounts! "Students of History is off-the-charts on creativity and engaging students in active learning. I am so excited to integrate these resources into my plans. All of his material is well-constructed & organized for the year. In addition to saving me a tremendous amount of time, these materials will be like an adrenaline shot to my students' day! Could not be happier! "THIS IS TRULY INSPIRED!!! This changed the way my students thought of and interacted with their community, and it changed the way I thought of myself as their teacher. One of my students even ended up on the news for raising over $500 for the local homeless shelter because of this assignment! What a great way to teach citizenship! Not to mention, this package is so complete and detailed, it guides the students through the process of community service. Commendable!